Our goal is to provide the highest overall value and shopping experience for our customer. For the last 10 years we have single mindedly driven ourselves to find how we can provide a higher degree of value and service for our customers. Our value focus, though, goes much deeper than just the terms that we offer to our customers. We understand that the experience and interaction you have when shopping with us is just as important as the price you pay. That is why each of our customer service agents are ALA trained and certified. Our management team has built a customer first culture and instilled it into each of our team members that interacts with the customer. Our goal is to get you the product you need at the right price when you need it. If any problems do arise with your order our commitment is to address it quicker than anyone else can in the industry with as little inconvenience to the customer possible. Viewpoint Lighting is a licensed landscape contractor specializing in the design and implementation of custom residential and commercial exterior lighting throughout the Sacramento Valley. We are certified by the Association of Outdoor Lighting Professionals (AOLP) as low voltage technicians and designers (CLVLT and COLD). Nestled in the foothills of Northern California, Lighting Unlimited has been in business since 1989. In September of 2014, the business was purchased by Chuck Knoble, who has led his team of 11 to transform the business into a destination lighting showroom. His philosophy, which we have coined the “360 Degree Philosophy”, is that every relationship should be considered valuable, and is needed to keep our business successful. That means that we place extreme emphasis on nurturing relationships with our manufacturers, our manufacturers’ representatives, designers, contractors, customers and team members so that there is a “360 Degree” synergy. With access to over 100 of the top lighting, home accessory and fan manufacturers, Lighting Unlimited provides quality product in a wide variety of styles. Not only can we supply you with the most up-to-date light fixtures, but we also have a wide variety of home décor; this includes mirrors, furniture, bathroom vanities, decorative hardware and home accents. Additionally, we offer lighting consultation, Electrical, and lamp repair services. Are you remodeling? Are you building a new home? Are you looking for one fixture to replace another? Our lighting experts would love to provide you with options in your selection process. Our knowledgeable staff is ready to be your design assistant. Come visit our beautiful showroom today! Founded in 2000, Michael Sestak of Sestak Lighting Design brings professional design and installation services to clients in need of a lighting upgrade or a complete lighting renovation for your home. Special focus on emerging LED lighting technology and unique applications for your home, inside and out! At Elegant Outdoor Lighting, we take the time to design and install only the finest landscape lighting fixtures and materials at your home or business. We use high quality solid copper and brass fixtures along with top quality transformers. Scott Sissom, the owner of Elegant Outdoor Lighting, has been serving homeowners for over 20 years. His hands-on approach and passion for lighting drives him to constantly learn about new techniques and new technology. Holiday, wedding and special event lighting design. Ponderosa Landscaping Inc., can renovate an existing design or install a new landscape. We have a team of professionals who have the necessary qualifications to complete any job from the initial grading of soil to the final phase of planting. Over the years we have completed jobs large and small from entire housing subdivisions to small yards. As one of the best kept secrets in the area, we are a family owned and operated lighting and home accessory showroom in the greater Sacramento area. The first Light bulbs plus was opened over 25 years ago and later expanded to service the greater Sacramento area. We have two beautiful locations in the northern California area, conveniently located in Rancho Cordova, and Sacramento, ready to help you with your lighting needs and wants. Lighting Design by Light Bulbs Plus has the best and largest selection of residential and commercial lighting and accessories. Our large selections include arts, clocks, mirrors, ceiling fans, tables, lamps, chandeliers as well as floor and table lamps. 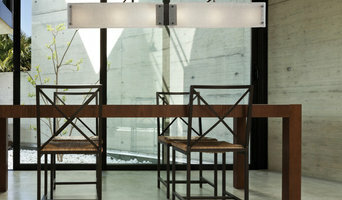 Lighting Design offers competitive pricing on all in stock and ordered products. Our knowledgeable and professional staff is dedicated to providing quality customer service and guidance to achieve the desired look of your overall lighting. Lighting designers will analyse your Sacramento, CA home's layout, structure and needs to create an effective lighting plan throughout your home. This may involve the addition of new light fittings but may also include the movement or addition of power points — recommendations to suit your space and your lifestyle. Though electrical engineers or interior designers in Sacramento can take on the task of outfitting your home with the appropriate lighting, a professional lighting designer explores lighting as a technique. They can match your style, be it antique lamps to match your eclectic vintage home, or modern wall floor lamps to go with your designer furniture. Think about how you plan to use each area of your Sacramento, CA home. It's important to communicate to your California lighting designer which space will be used as for reading and which for enjoying a movie or entertaining, as these will require very different lighting methods. In addition, consider how you'd prefer to control the lights. Lighting technology today includes dimmers, sensors, photocells (that let lights react to the amount of daylight in a space), programmable scene controls (that let you program different settings for varied lighting) and whole-house lighting controls (that let you control all or a portion of your home's lights from one source), allowing you to tailor your lighting controls however you wish. Find a lighting designer on Houzz. 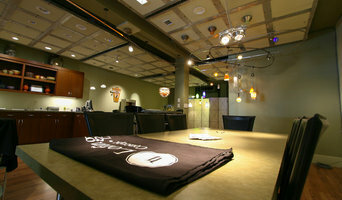 Narrow your search in the Professionals section of the website to Sacramento, CA lighting designer. 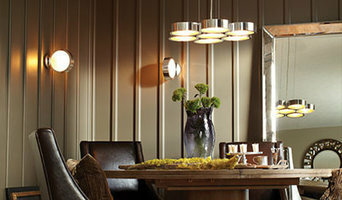 You can also look through Sacramento, CA photos by style to find a lighting design you like, then contact the designer.